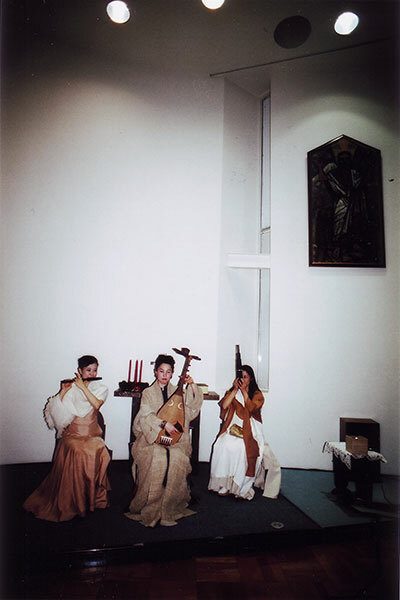 NONAKA, Kumiko (noh-kan) and KAWAMURA, Kyokuhou (biwa) started performance activities as a unit in 2002. The unit name Kyara comes from the name for the upmost scent of “alloeswood” in English, which has been prized as the most excellent scent for ages. 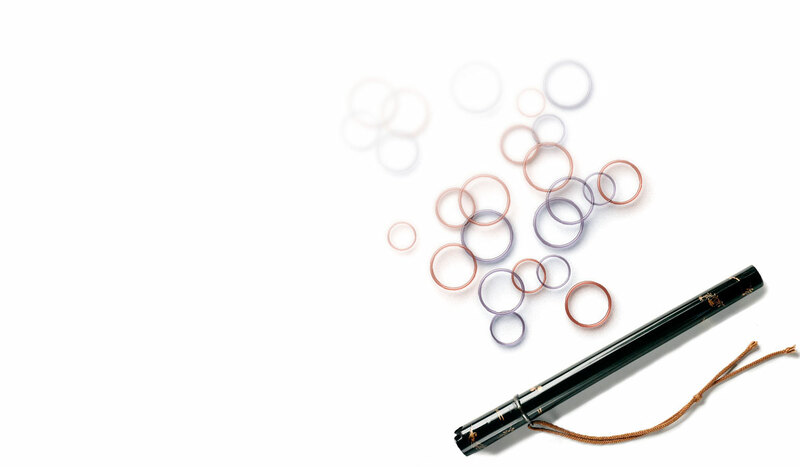 There is an elegant expression of smelling the scent in Japanese “listening to the scent”. As if you listen to the scent of the highest rank, the unit hopes to be listened to with sensitivity and dearest feeling. This is why they were named after “Kyara”. 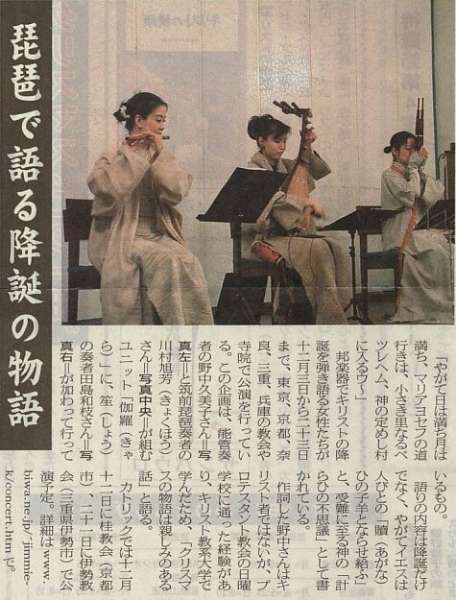 Nonaka & Kawamura select topics out of wide fields and have composed original pieces; they want to deepen the art of traditional repertoire of each instrument. While paying a good attention to the historical roles both instruments have played, they aim at creating vivid new music in this century. 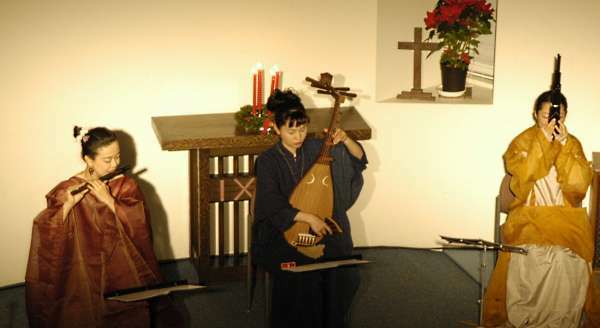 Kyara has Christmas concerts every year, in which they play the original story-telling piece “How precious and noble this night - the story of the birth of Jesus Christ” (verses by Nonaka, music by Kawamura & Nonaka). 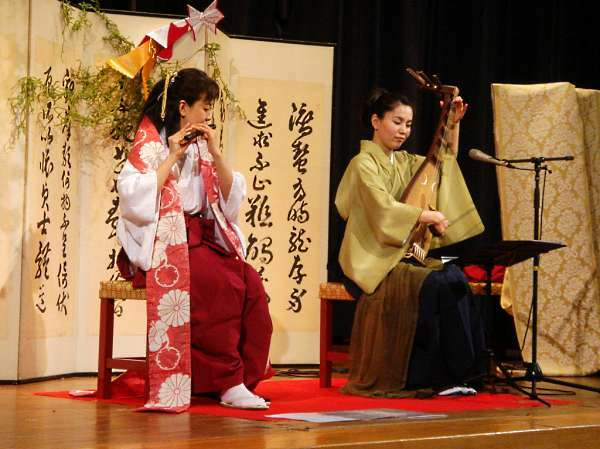 Story-telling accompanied by biwa had been a tradition for some hundred years, and biwa players played the role that distributed the newest matters in the capital to people in the countryside as well as gave entertainment with their art. Unit Kyara adopts this news distributor style in their Christmas piece like former players did in the past. 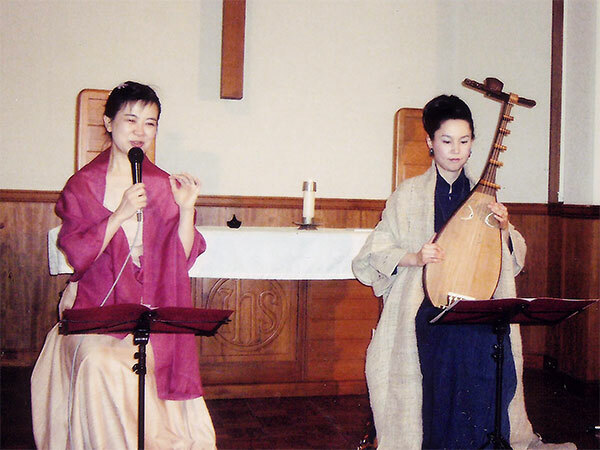 Nonaka & Kawamura have also composed comedy-like pieces, celebrating pieces on required occasions and instrumental pieces without verses, and for texts written by a novelist based on ancient stories. 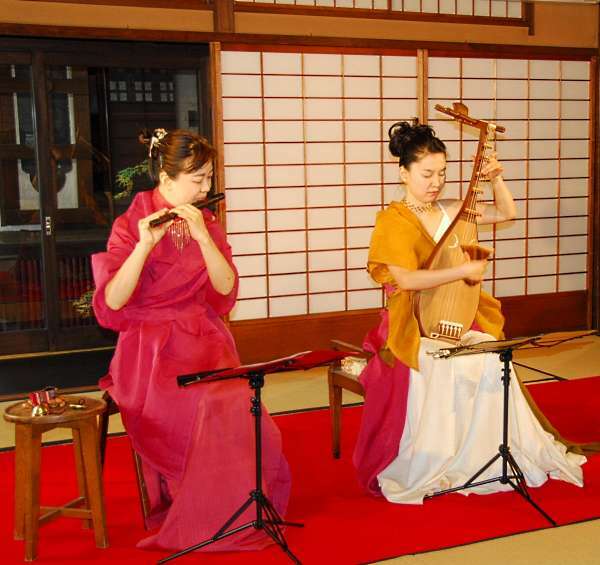 Kyara visits for performance, various places like shrines, temples, churches, smaller places such as old private houses, and even a hall of a public bath.